On June 19th, 2016, the Sunday radio talkshow “Club de la Presse" focused on The Policy of "Made in Rwanda".The main concern was to know the problems and opportunities in that policy. 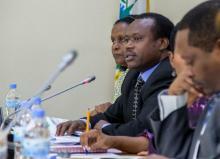 said that Rwanda wants to accelerate its economy because people had already began to notice some challenges. He also explained that Rwanda is able to produce a lot. The only problem is that Rwandans are not sensitized to use local products; the campaign of "MADE IN RWANDA" serves to expose local products and to promote and increase the quantity to be exported rather than imported. Théogène Munyaneza, one of the journalists, who follows what is happening in the campaign "MADE IN RWANDA," said that the Rwandan people were not satisfied with the decision already taken to stop importing second hand clothes and shoes, commonly called "CAGUWA”, because those clothes were helping the low-income population to find clothes to wear at a cheap price. Moreover, many traders gain their lives by selling the "Caguwa". 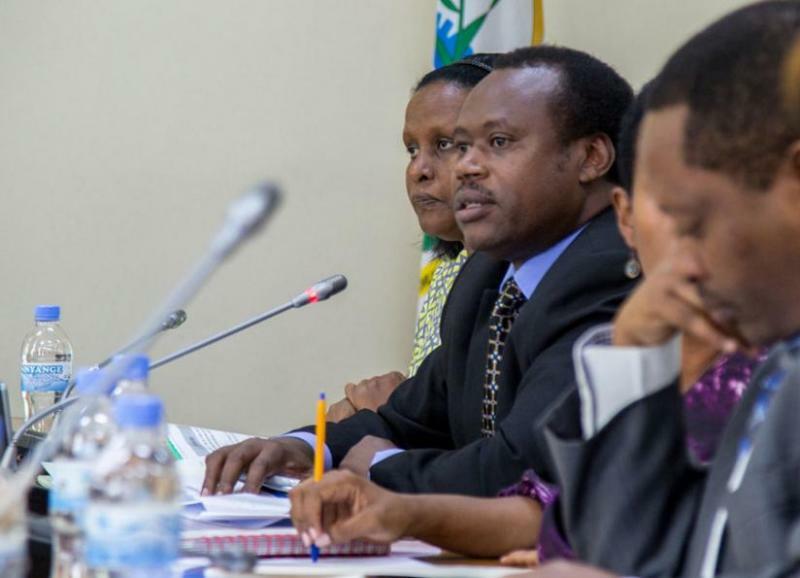 On this point, the Minister KANIMBA replied that the decision does not concern Rwanda only, but all the countries of the East African Community.He explained that the rejection of Caguwa in these countries will raise the economy, because the caguwa is one of the imported goods that consume a lot of money from the East African Community countries. He added that the Country is ready to help people to find new clothes because apart from the factory formerly known UTEXRWA there are other factories already installed that will be used to produce clothes of qualities in Rwandan. The private sector representative in the talk show Mr Mungwarareba Donatien said that their institution has already begun to educate and motivate their members to advertising their products in order to show that Rwanda local products are there and are for good quality. He added that there are exhibits already prepared for just promoting what is made in Rwanda and expose them to markets, even outside the country. During the Sunday radio talk show messages from facebook and whatsapp were received. Many of them were saying that they doubting on the quality of local products. Listeners continue to say that, the decision to eliminate the Caguwa in the Country was taken early, because the citizens have not been consulted and that can cause consequences on their economies.